gm_2018_fraunhofer | Europäische Stanzform Union e.V. 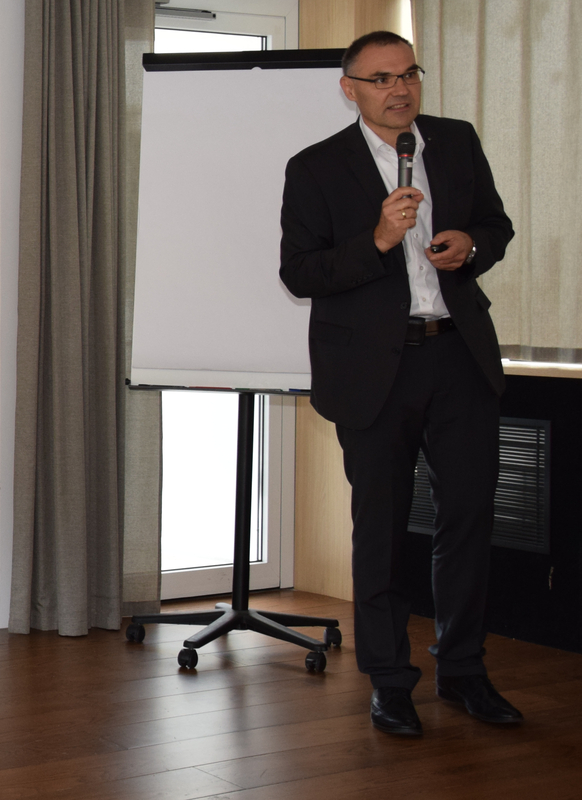 We would like to thank Frank Schieck once again for his presentation on Industry 4.0 during our General Meeting 2018 in Lyon. Mr. Schieck is working since 2006 at the Fraunhofer Institute for Machine Tools and Forming Technology (IWU) in Chemnitz as the main department manager for sheet metal forming. Mr. Schieck studied mechanical engineering and among other things gained experience at KUKA Werkzeugbau, Schwarzenberg, from 1998 to 2006 as Engineering & Development Manager Hydroforming section. KUKA AG is one of the world’s leading suppliers of robotics as well as plant and system technology and a pioneer in Industry 4.0. The individual presentations can be downloaded by our registered members here again as a PDF. However, anyone who did not attend the meeting and thus could not listen to the lectures, will have a little harder to understand everything. Finally, Mr. Schieck made it clear that the Fraunhofer Institute is also the point of contact for small and medium-sized enterprises (SMEs). The size of an order, says Frank Schieck, is not decisive. It is important that even small businesses have a chance to keep up with the new technologies. Orders to Fraunhofer with a volume of less than € 1000.00 are not uncommon.